Dinner is essential for fueling a night of dancing at a wedding reception! 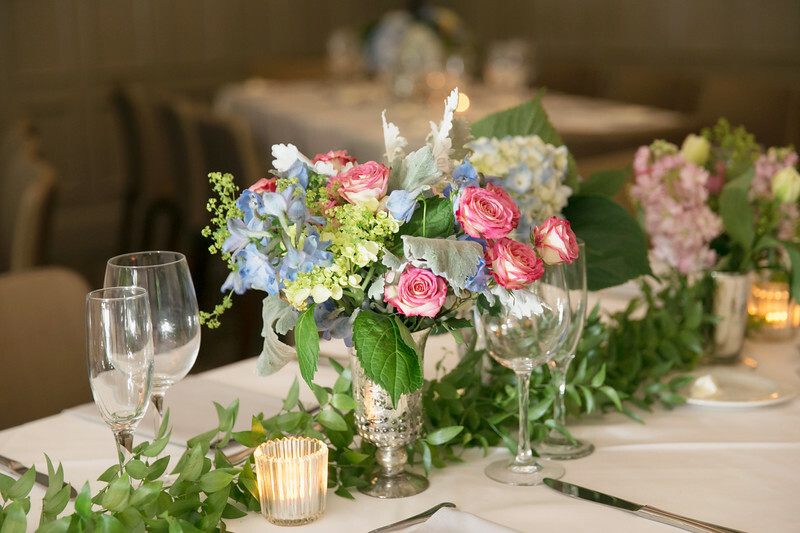 A charming centerpiece is the perfect way to set the stage for the meal while adding a pretty touch of florals at the same time. 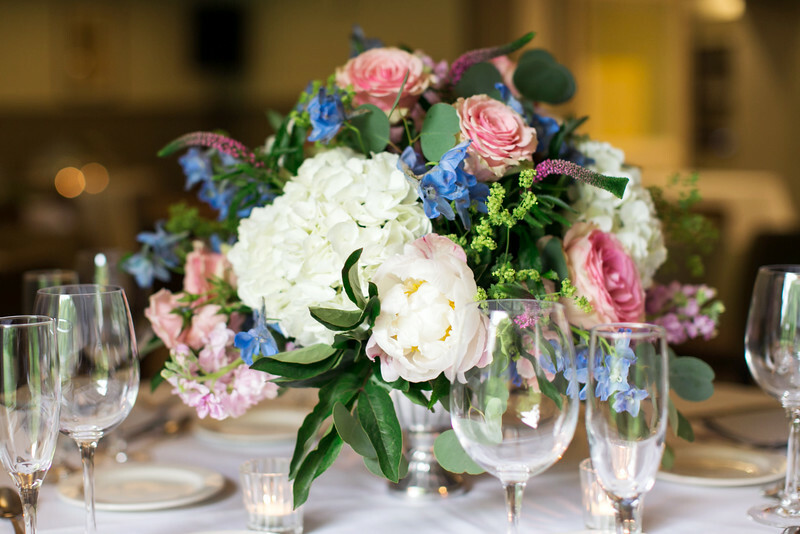 In our 2017 wedding season we were lucky enough to work with some of the finest florists in St. Louis! 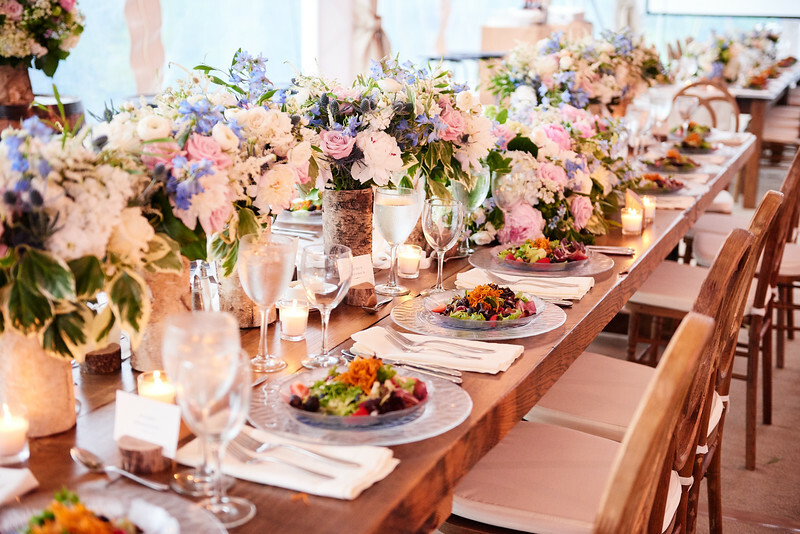 Beautiful arrangements designed by The Special Event Florist were featured at Martha + Lee’s wedding reception at their family farm. 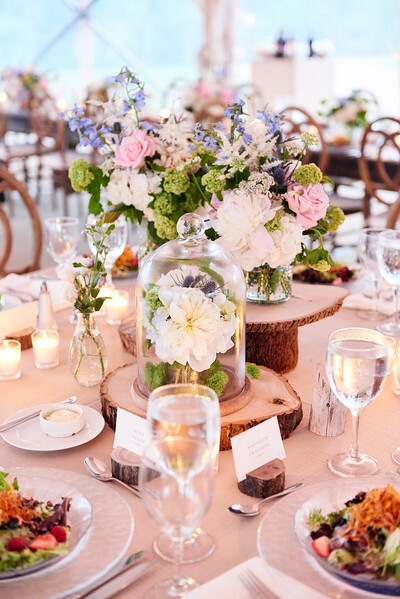 The soft-hues of floral were set on top of wooden pieces to match the sweet, rustic feel of the evening. 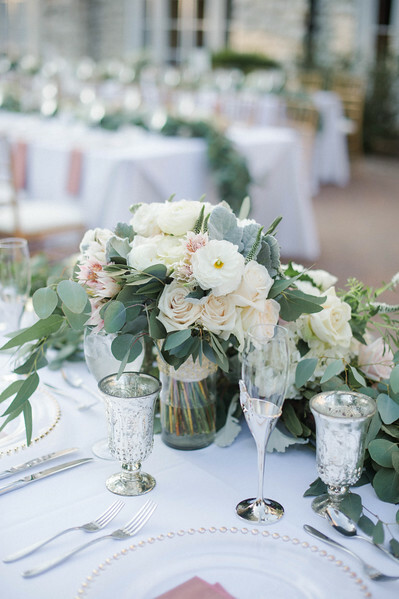 Elise + Ben’s reception centerpieces were just lovely! 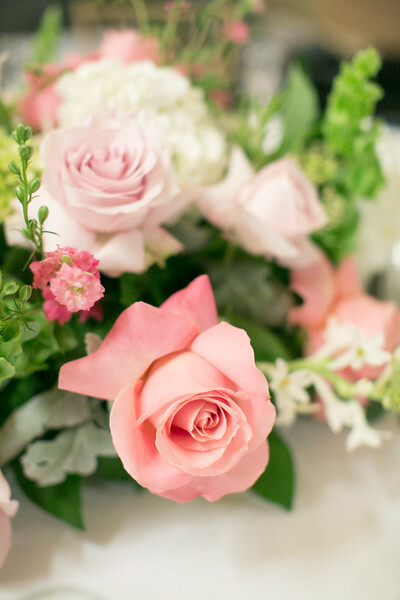 Artistry Florist came up with these beautiful arrangements that featured roses and hydrangeas to set a romantic mood. 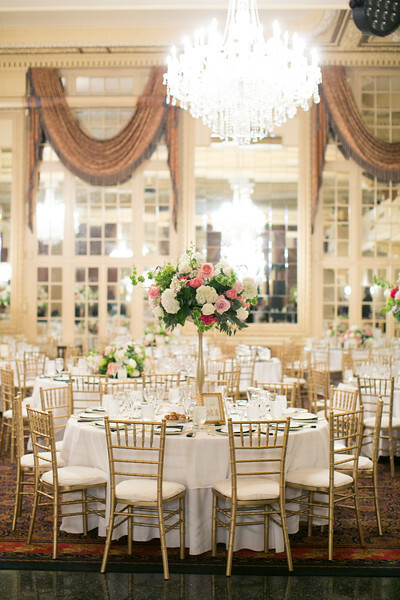 Sarah + Johnny perfectly decorated the Missouri Athletic Club with arrangements created by Bloomin’ Buckets. Their featured hydrangeas and roses paired well with the crystal chandeliers to give the venue an elegant feel for the evening. Amy + Nick switched things up by enjoying their reception meal outside at Oak Knoll Park. 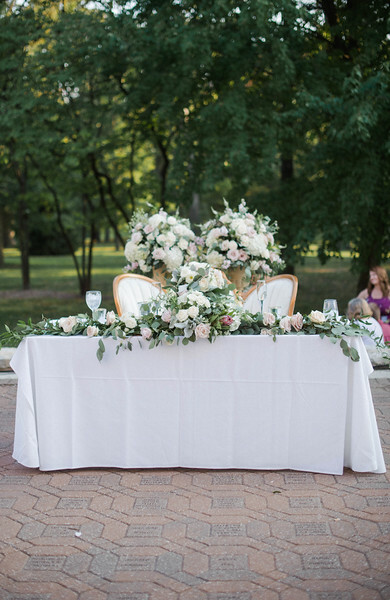 Les Bouquets was able to help them flawlessly adorn their tables with garlands of eucalyptus, roses, and hydrangeas. 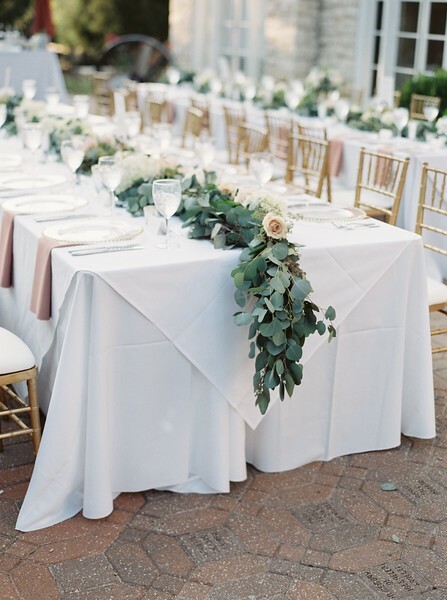 The reception colors paired with the greenery created a stylish outdoor moment. Floral centerpieces make the night magical! We love working with all the talented flower artists in St. Louis to make sure that our brides have the beautiful night of their dreams. Thank you so much to our featured florists for their stunning work! Be sure to check out our reception Pinterest board for more inspirations from our beautiful weddings!